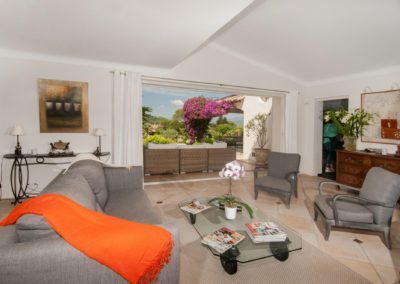 St Tropez exclusive villa with pool – Set in a quiet residential area of St Tropez, about 15 minutes’ walk to the centre, town beach and tennis courts, L’Emeraude is an exceptionally elegant property encircled by a typical Mediterranean, terraced garden, with panoramic views stretching as far as the Gulf of St Tropez. 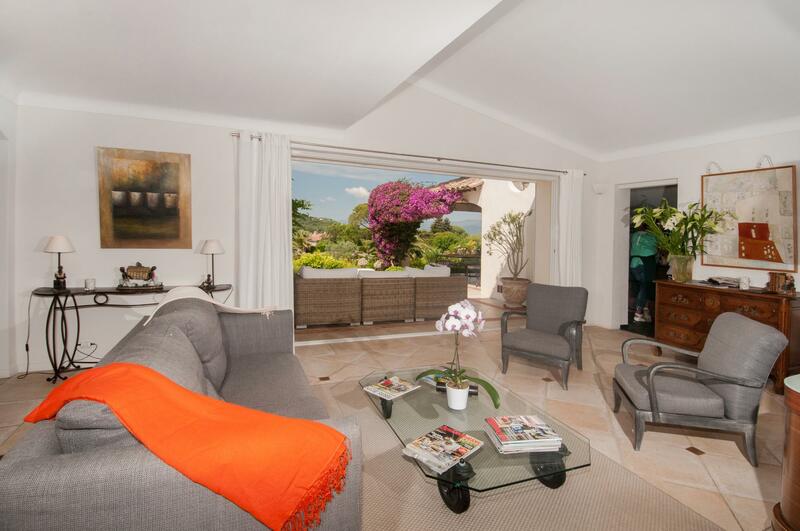 The interior is modern and tastefully furnished, with a cool feel throughout and ample, open-plan living areas. 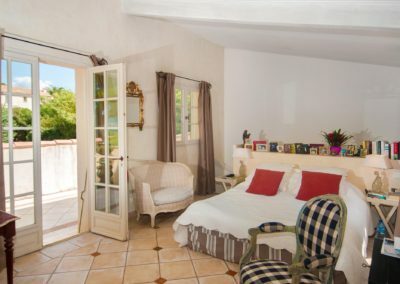 Groups of friends travelling together or extended families will appreciate the little extra privacy of the lower ground floor where all rooms are only accessed from the garden. 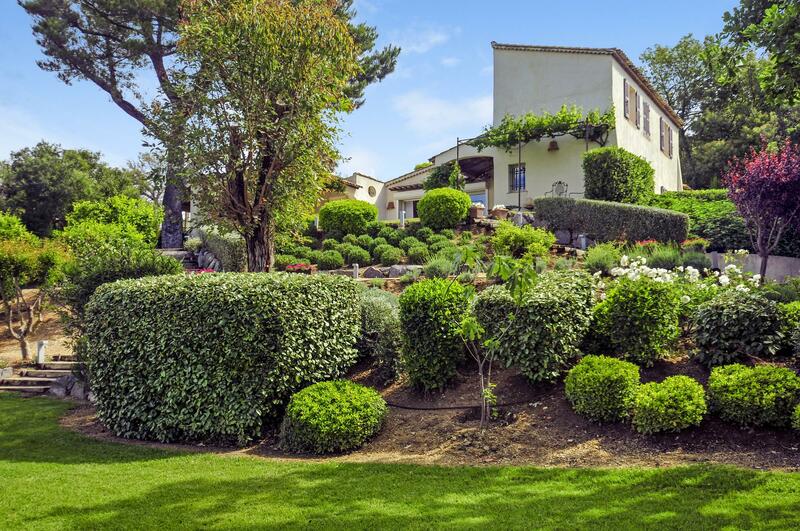 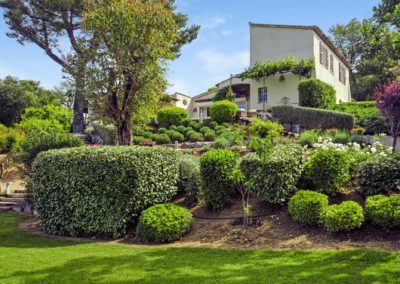 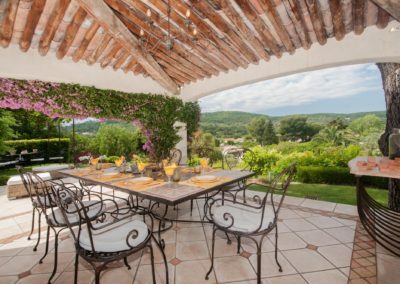 Enjoy the view of the lush garden from your splendid terrace, or whilst dining al fresco under the vine-covered pergola, with the Mediterranean sea in the distance. 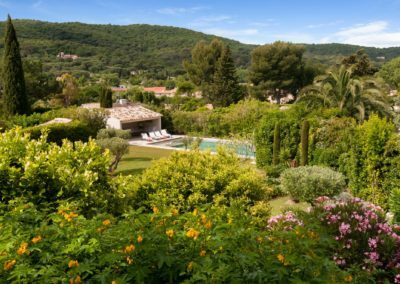 Scented lavender and rosemary bushes line the pathway leading to the salt-water pool, where you can take a swim and sunbathe, sheltered by tall palm trees, ancient olive trees and colourful flowers. 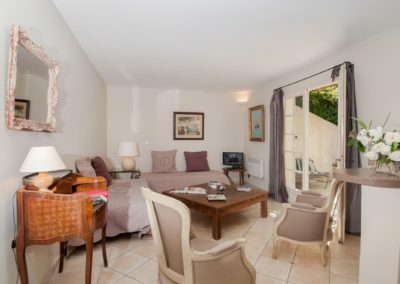 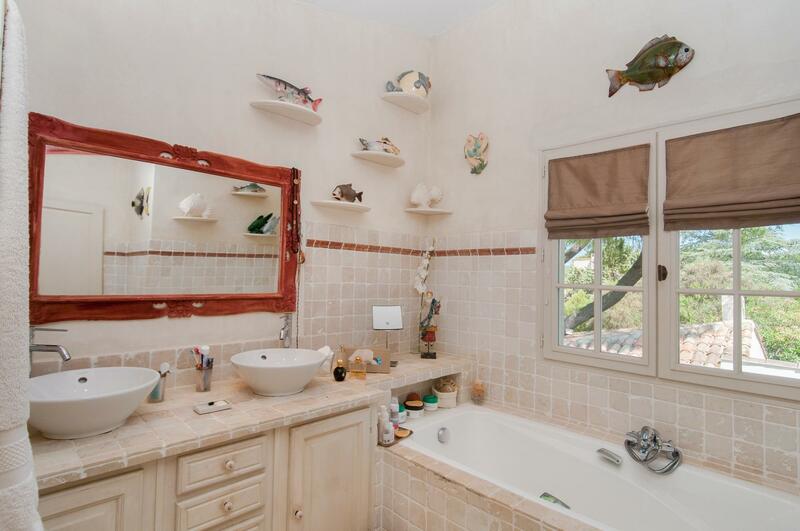 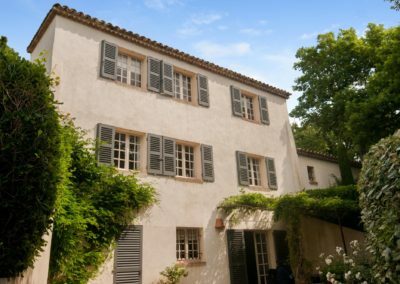 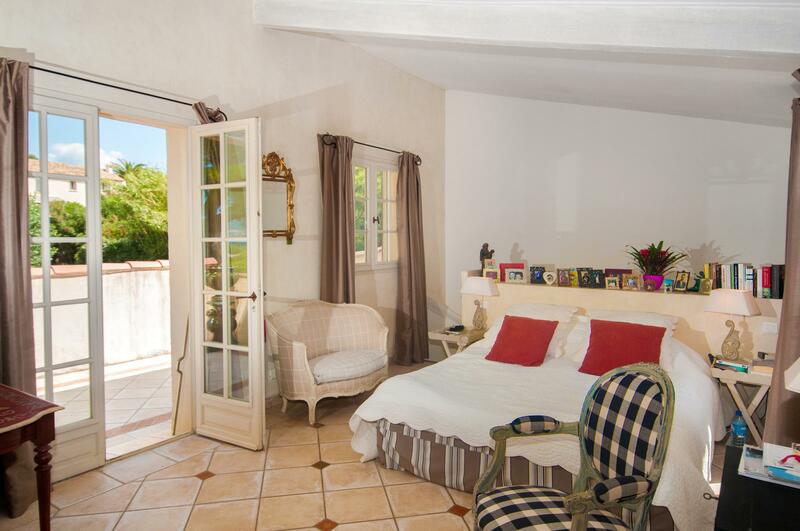 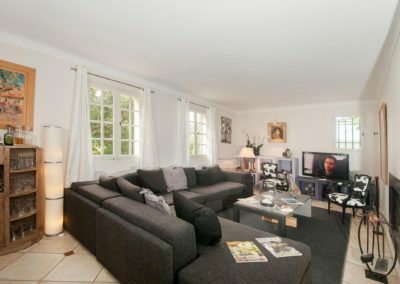 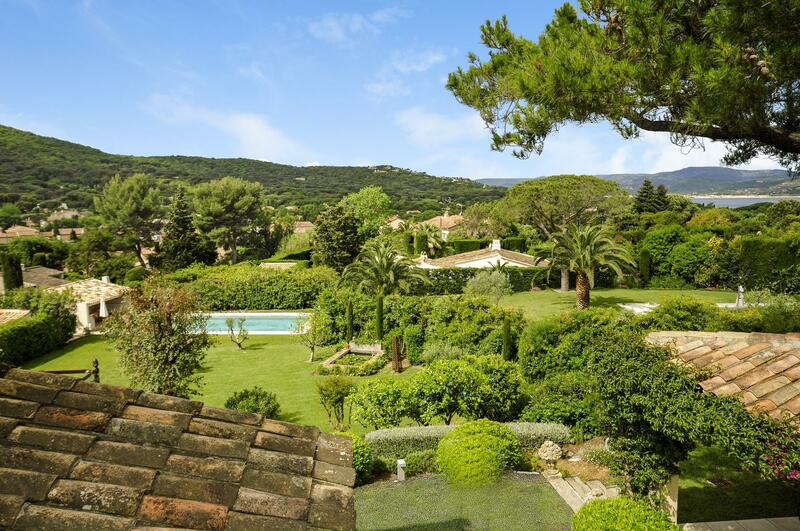 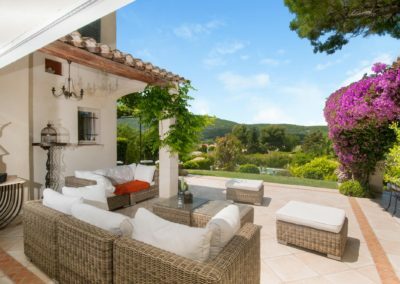 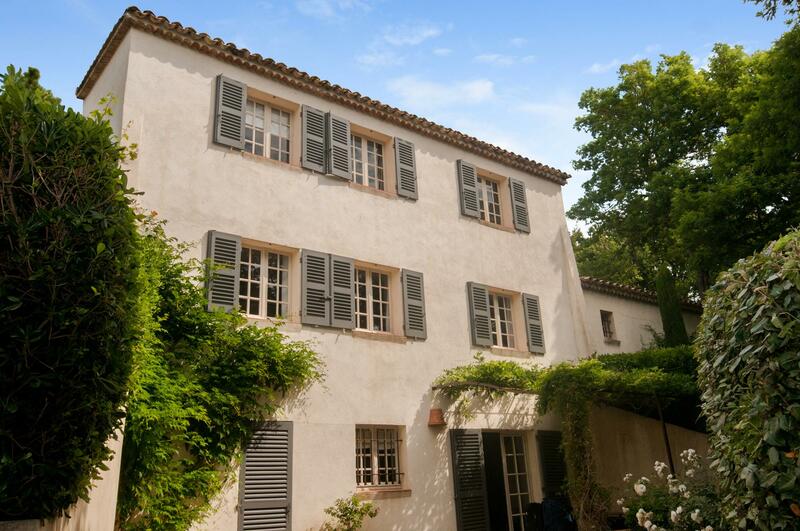 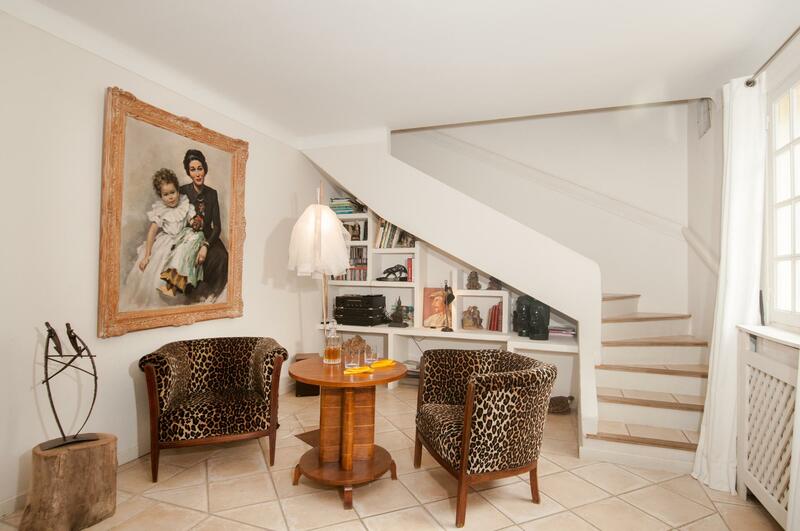 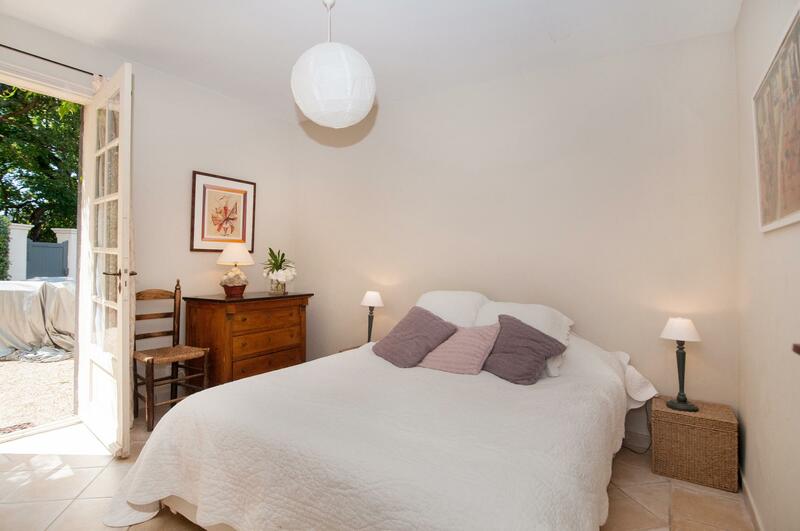 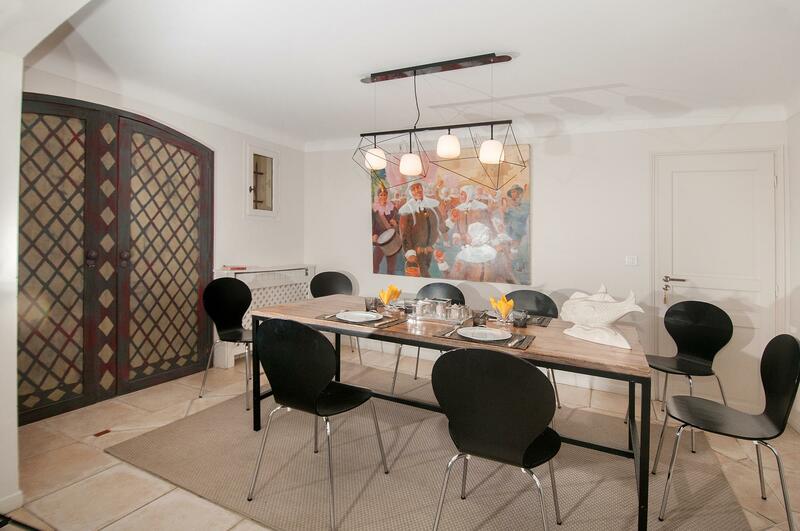 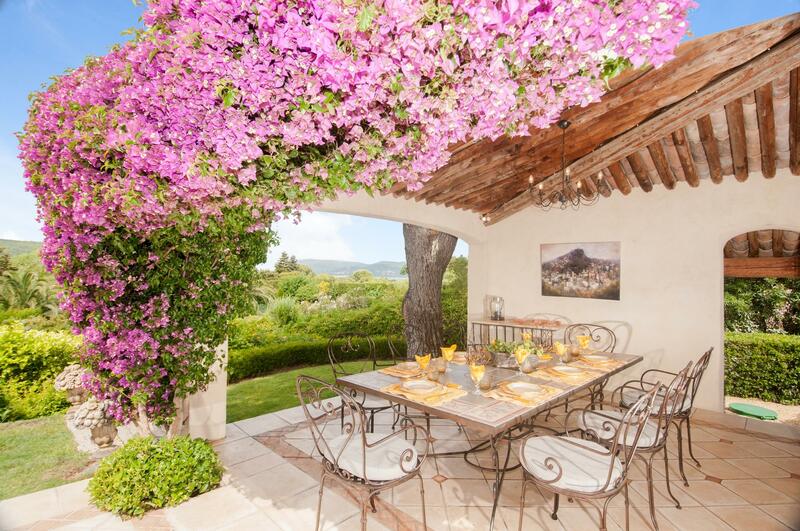 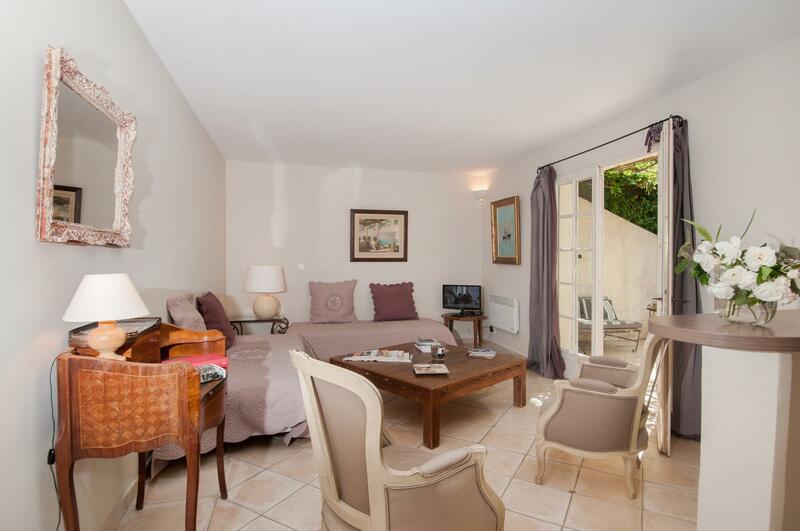 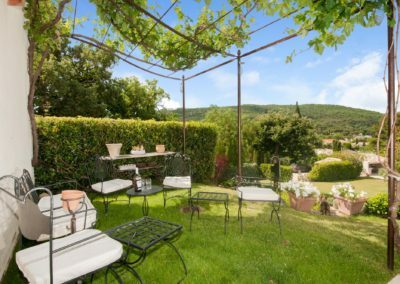 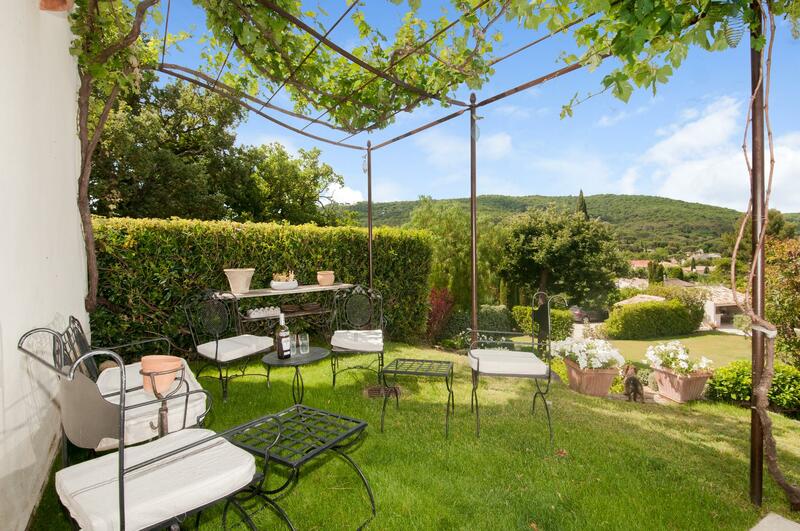 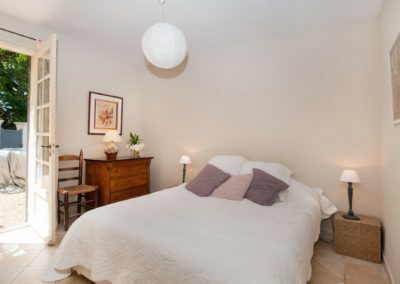 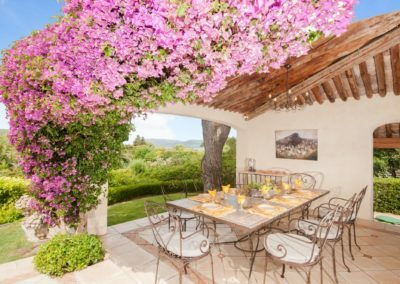 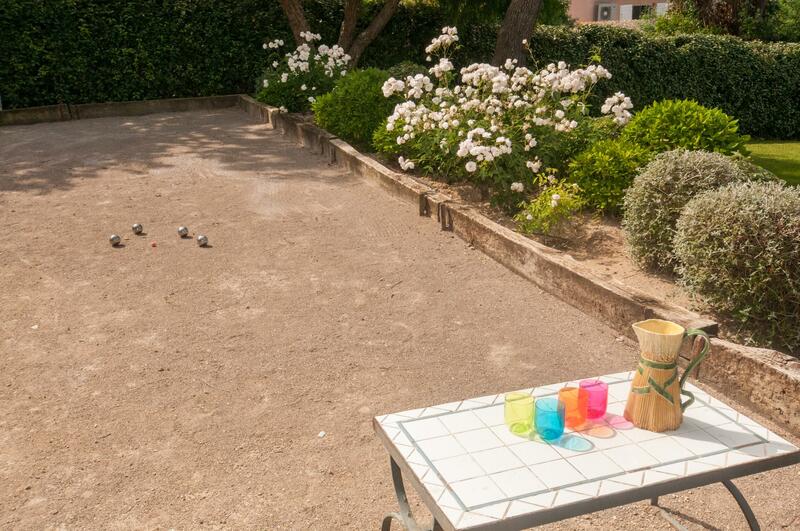 From this exclusive, delightful oasis it is about a 15 minute walk to St Tropez’s lively town centre. 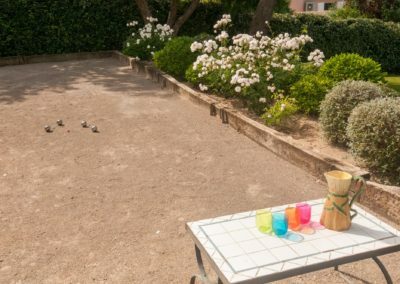 In the famous Place des Lices you will experience a genuine village atmosphere with a twice-weekly market attracting visitors from all over the region. 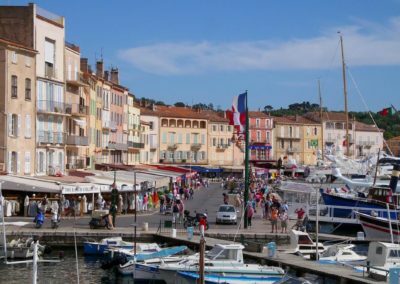 You can enjoy a meal in one of the many seafront restaurants and stroll along the shimmering marina, where multi-millionaire yachts are moored. 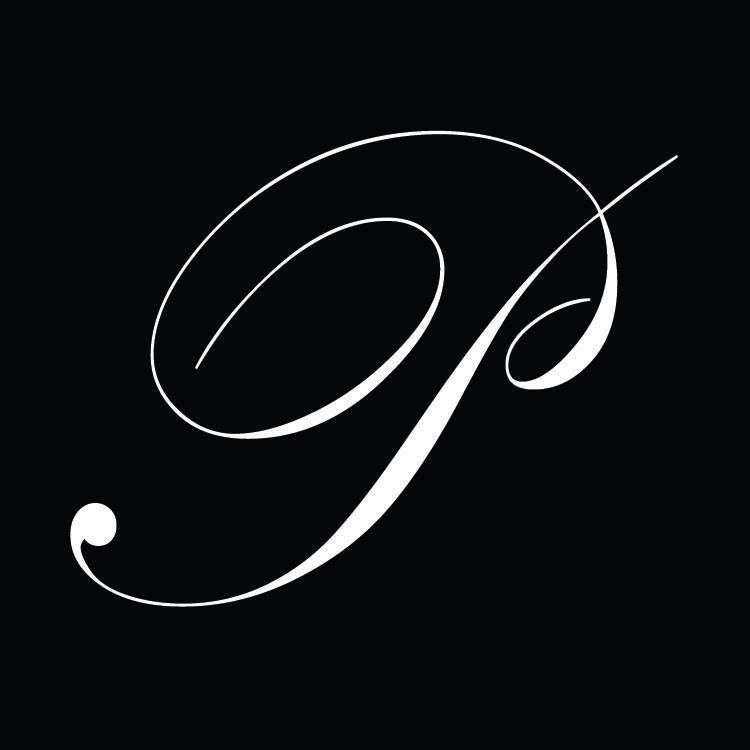 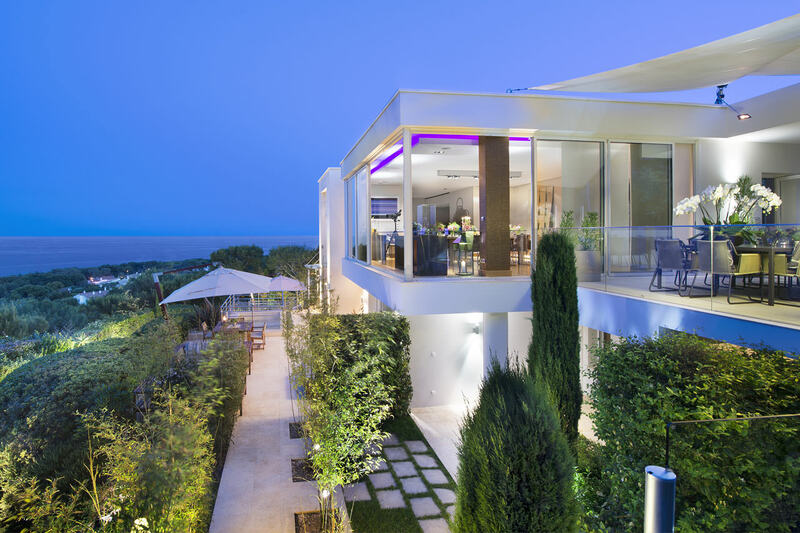 St Tropez nightlife is really close at hand and so are the legendary beach clubs of Pampelonne and sandy beaches offering all sorts of watersports facilities. 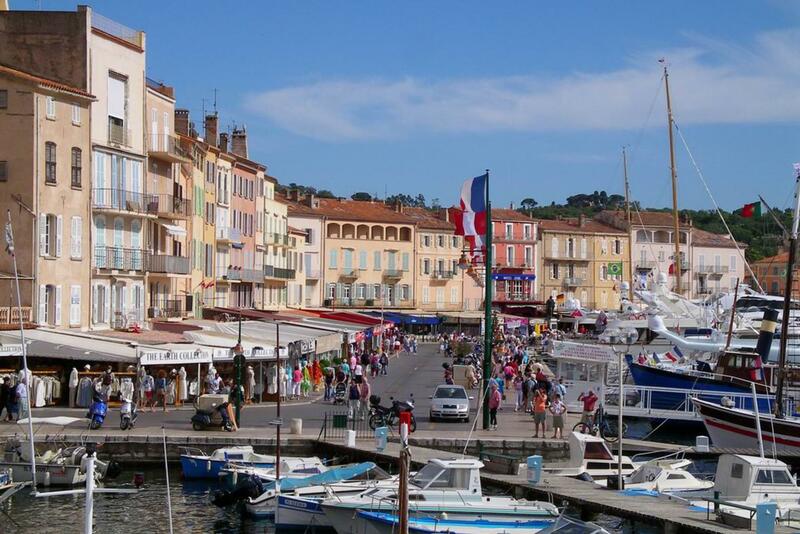 Day trips could include a ferry crossing to Ste Maxime, a visit to Cannes with its elegant promenade, or a journey inland to the quaint hilltop villages of the Var. 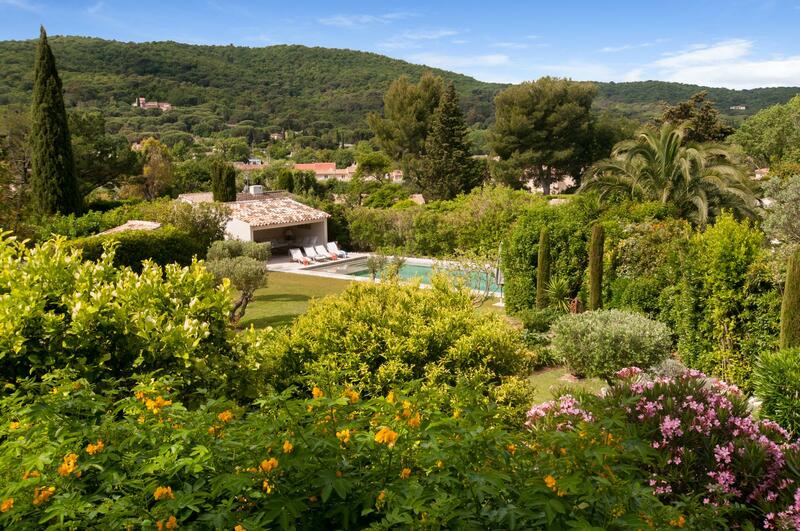 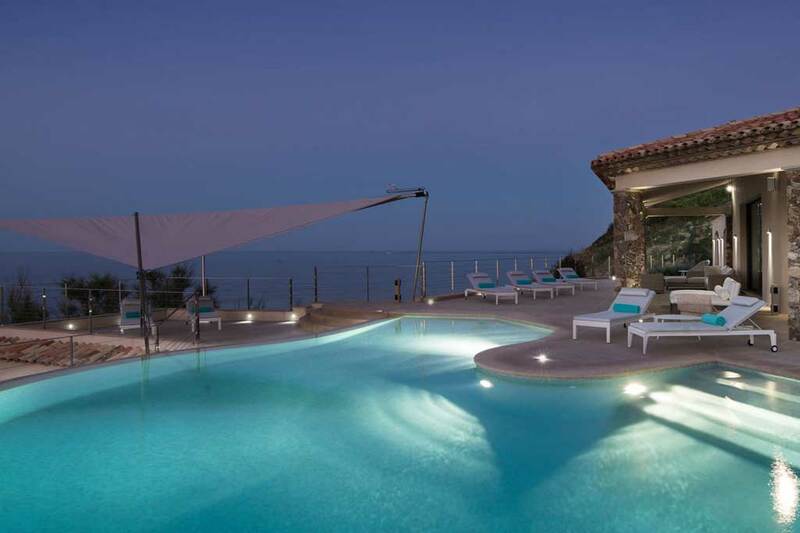 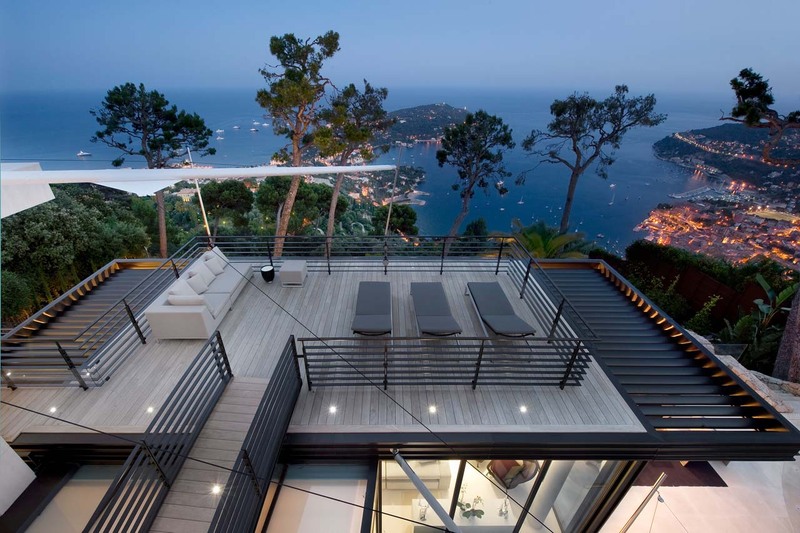 Your stay at this St Tropez exclusive villa will be truly memorable.